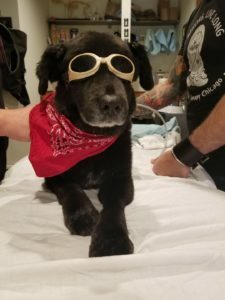 My dog has been diagnosed with a Spinal Stroke (FCE). Now What? A Spinal Stroke or Fibrocartilaginous embolism occurs when a piece of the vertebral disc breaks off and impedes blood flow to neurons in the spinal cord. When the blood flow to neurons in the spinal cord get cut off, the neurons die resulting in leg paralysis. The specific symptoms and severity of a spinal stroke (FCE) depend on the level of the spinal cord affected and how much of the cord is damaged. Yes. 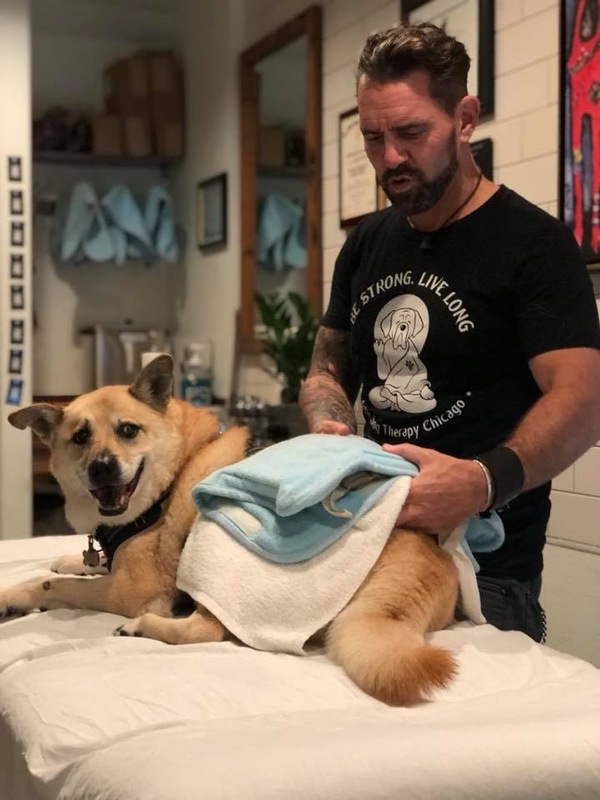 Initially, we focus on reducing soft tissue trauma and inflammation caused by the FCE as well as reducing the secondary effects of muscle spasming and weakness / difficulty standing and walking. 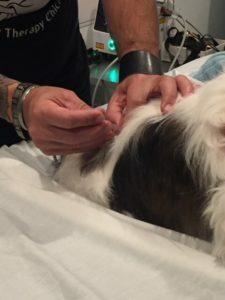 By using Cold Laser Therapy, Dry Needling, Massage and Manual Therapy techniques we can improve mobility and reduce your pets’s discomfort. We will provide you with home care techniques and recommendations so you can improve your pet’s comfort and help speed up their recovery at home. In the first 1-2 weeks, we focus on mobility and pain reduction. As your pet’s condition progresses, we gradually introduce range of motion therapies using manual stretching techniques, joint and soft tissue mobilization and proprioceptive / sensory and balance training. We will also progress home exercises as tolerated. Over the next several weeks, we will introduce higher level balance training for core strengthening and begin our unique incline treadmill weight training program created by Tod Miner. This program is customized for your pet and uses land based harness pull / resistance training instead of conventional water therapy. In most cases, (74% in recent studies) dogs will regain the use of their legs and no longer be incontinent. Physical Therapy may provide your pet with a better outcome and improved quality of life. Then we will contact you to schedule an initial evaluation.